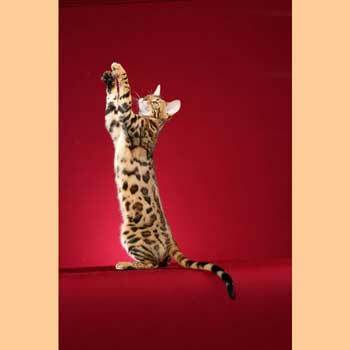 Our goal is to produce high quality, healthy Bengals, with excellent type and beautiful, tri-colored patterns. Our cats have been carefully selected for health and temperament, as well as type and beauty. We are dedicated to producing well socialized, confident and healthy kittens. Our Bengals are screened for HCM, FIV/FeLV and PK Deficiency. We are proud members, in good standing, of TICA (The International Cat Association).